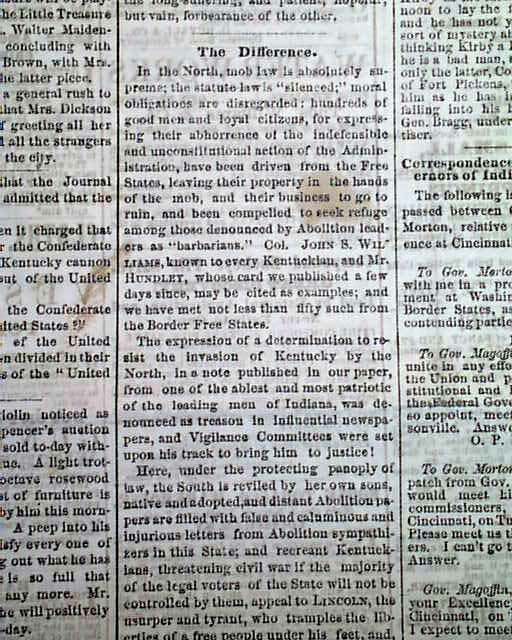 Louisville is difficult to categorize as Union or Confederate during the Civil War as, depending on the time, there were factions within the city supporting both. 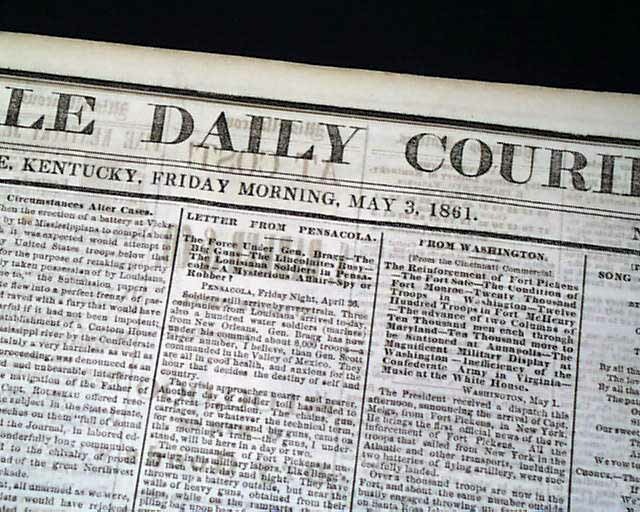 To placate both sides the two leading newspapers took their stands: the "Courier" was very much pro-Confederate & the "Journal" was more pro-Union. 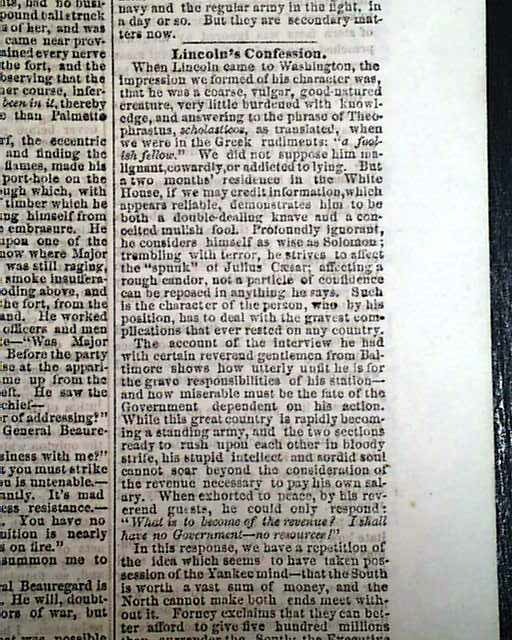 This is the Confederate-leaning newspaper. The ftpg. 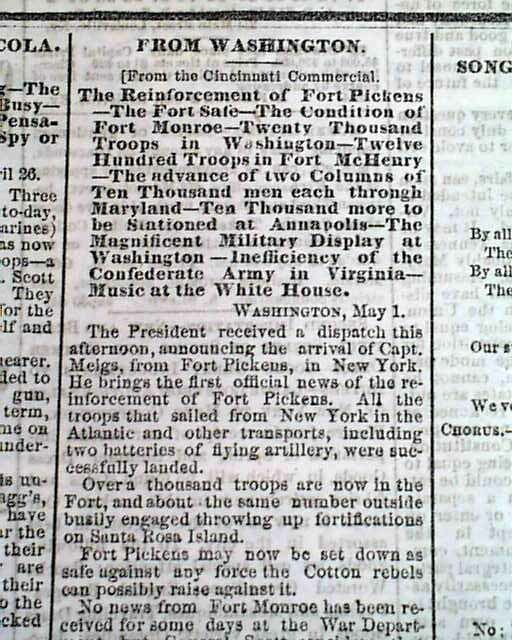 has: "The Difference" "Correspondence between the Governors of Indiana and Kentucky" "Terrible Affray at Albany--Governor Morgan Attempting to Quell the Disturbance" "Lincoln Confession" "Letter from Pensacola--The Force Under Gen. Bragg--The Lincolnites Busy..." "The Two Armies" and more, including a poem titled: "Song of The Kentucky Guard" and another: "To Our Volunteers". 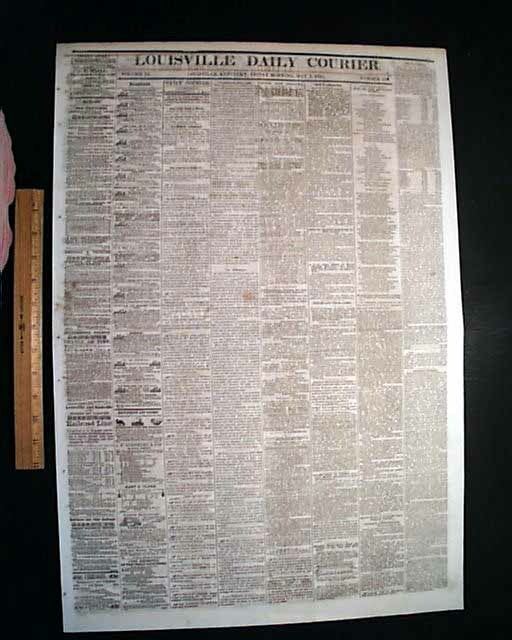 The lengthy pg. 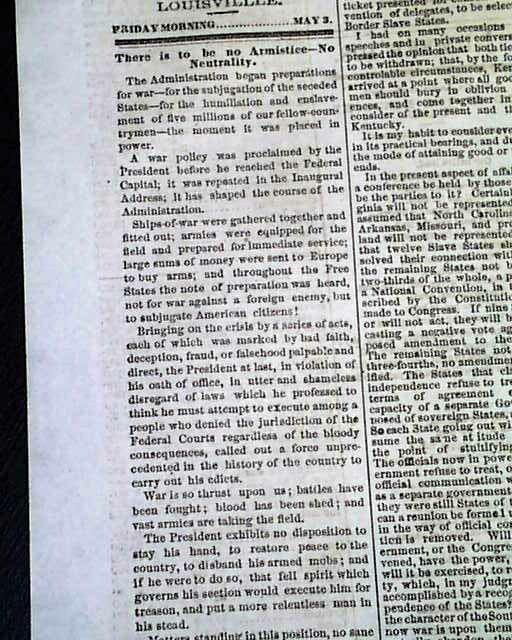 2 editorial is headed: "There is to be an Armistice--No Neutrality" plus a wealth of ads. Page 3 is entirely taken up with ads. The bkpg. includes: "War Intelligence!" 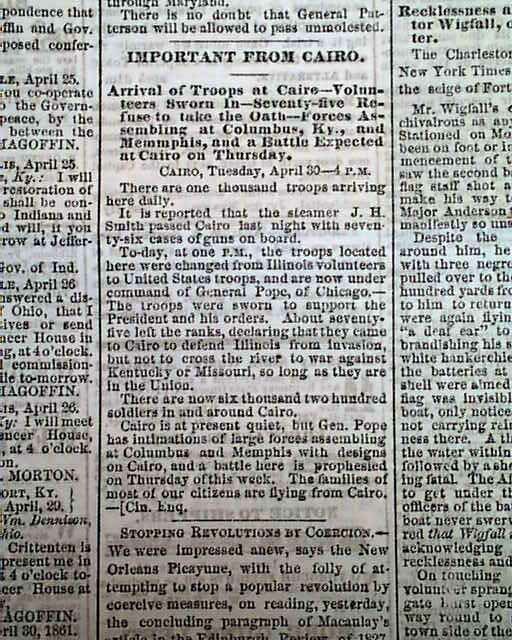 "Military Conference Between Gen. Buckner and Col. Prentiss' "Activity In the South!" 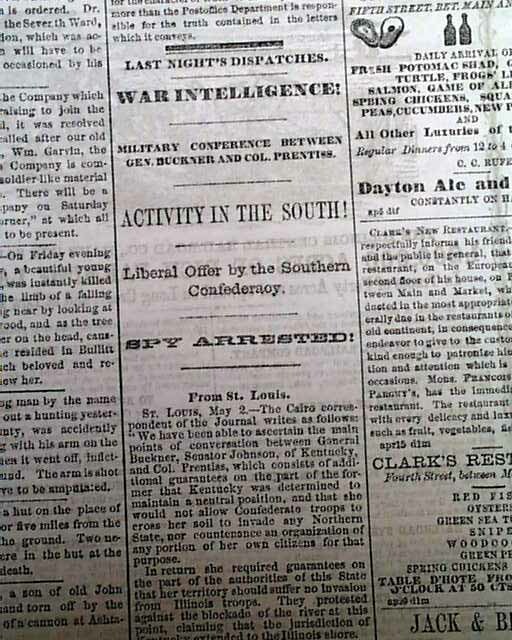 "Liberal Offer by the Southern confederacy" "Spy Arrested!" "Hon. 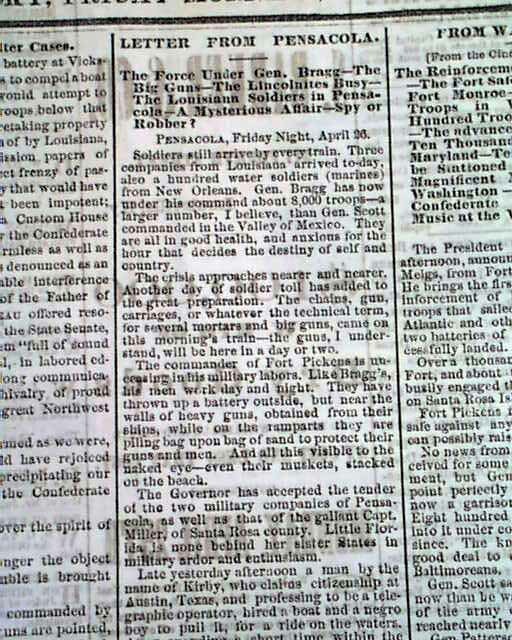 Garrett Davis' Visit to President Lincoln" and many ads. Complete in four pages with the leaves professionally & archivally rejoined at the spine, in excellent condition.